Oy Vey, A Yiddish Coloring Book? 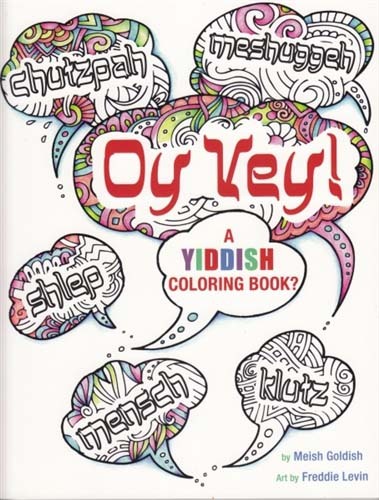 Why a Yiddish coloring book? because it's a colorful language! The designs illustrate the words, which are defined, but even more fun are the jokes that accompany each. So much fun!